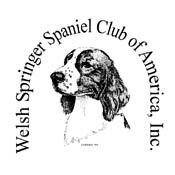 This is the home of Wyld Wynd Welsh Springer Spaniels. We started our adventures with the Welsh in 2003 and have never looked back. Our dogs are raised in our home and are a part of our family. Despite an emergency C-section, we are pleased to announce the arrival of the Storm/Quinn puppies early, early Monday morning 09-26-2016. The x-ray had showed only 2 pups, and 2 it was. Unfortunately, the big boy got himself stuck, hence the C-section. We would like to give our sincerest thanks to the night staff on duty Sunday evening at Four Seasons Veterinary Specialist. Dr. Garbino, and her tech staff Bret and Tamera were efficient, caring and informative of the situation. Dr. Britt and Roxanne…anesthesia…were called in to perform the surgery in a quick and profession manner with great care for both mother and puppies. It was truly fascinating watching the teamwork of this wonderful group of people. Thank you also, to the doctors and techs who took over the care of Quinn and the puppies in the morning. THANK YOU!! You can follow the growth and development of the pups under "Litters" Storm/Quinn. We are happy to announce that Radley…Wyld Wynds Hidden Treasure….is our newest Champion, earning his title at the Heartland WSS Club's Support Entry in Lake Elmo, MN.